Nothing anyone can say can add or take away from what American Heroes did that day. Nothing justifies the evil of radical Islam or anti-Americans who would enslave all free people worldwide. 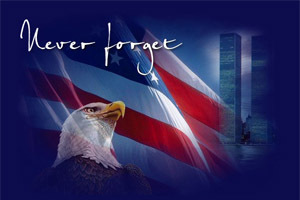 We remember, praise God and ask blessings for Heroes today and everyday. This entry was posted in National on September 11, 2018 by admin.